Not all bicycles on the market are suitable for hosting the Shuttlebike® kit unless special modifications carried out by our internal technicians. 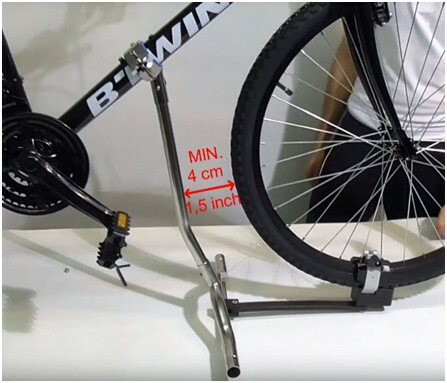 First of all, the bicycle frame must NOT be made of CARBON FIBER, because if you tighten the clamps to the pipes, you risk to breake the fibers and damaging the frame compromising safety in the water. ALUMINUM OR STEEL FRAMES ARE IDEAL. On the frame of the bicycle will be applied 6 fixed attachments that will not compromise the use of the bicycle in its classic use. The following is where they are to be positioned and which dimensions the frame tubes can have. 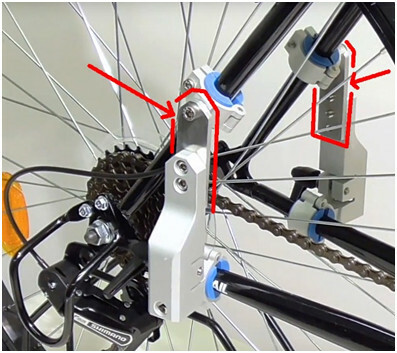 In the image on the left you can see how the bracelets and rear attachments should be positioned on the frame tubes. Thanks to the supplied blue semi‐bushes it is possible to adapt different tube diameters from 12 mm to 24 mm. 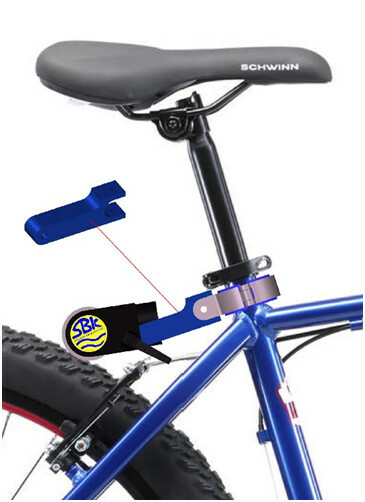 There are also special extensions that allow you to adapt the rear connections on frames that need it. For OVAL TUBES, other special clamps are required on request. The front clamp must be fixed on the lower tube that can be of circular or elliptical shape, the important that is not wider than 60 mm. When the front pillar is installed, you must measure at least 4 cm (1.5 inch) from the wheel.